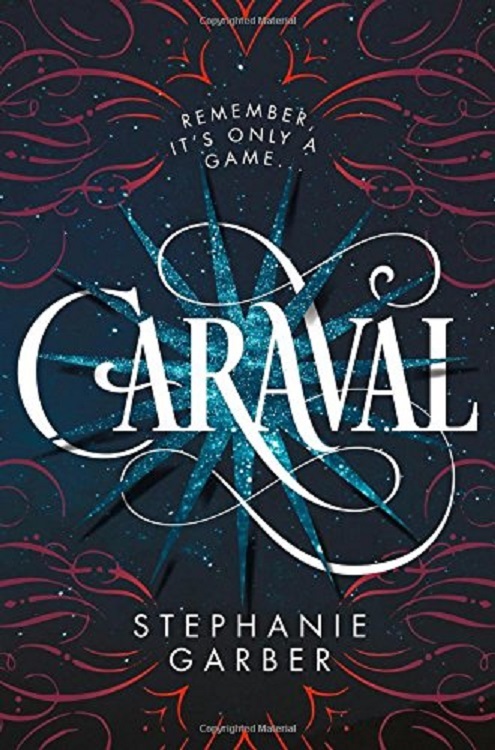 For seven years Scarlett Dragna has been trying to acquire the highly sought after tickets to the show Caraval by writing letters to the owner. Year after year there's been no response. This year, however, on the verge of her marriage, she's received 3 tickets. Caraval is said to be a magical show which encourages audience participation, and changes location from year to year. In some ways it's a competition although the specifics of Caraval have been kept closely under wraps for years. Rumor has it the winner is granted one wish, and Scarelett knows exactly what she'd wish for if she won. "Whatever you’ve heard about Caraval, it doesn’t compare to the reality. It’s more than just a game or a performance. It’s the closest you’ll ever find to magic in this world." This was such a fun book. The whole experience felt a bit like going to a carnival, and seeing things distorted like you would when you peer into a fun house mirror. Things are not always quite what they appear to be and it can get a bit confusing as you try to figure out what is real and what isn't, who you can trust and who you can't, and how to interpret all the clues. From Scarlett's first step into the game it appeared to be something dark and sinister making me wonder if Scarlett would get out of the whole thing alive. There were many twists and turns, and while you're reading you'll probably think to yourself once or twice, "What the tomfoolery is this?" But I adored the craziness of it all and the drama that ensued. Overall, the book was refreshingly unique, and if I were to say anything more I'm afraid I'd begin entering into spoiler territory. I gave this one 5 out of 5 roses. It had a very fast and steady pace with a lot going on. If you blink, you might miss something, so try to keep up. On the Lisarenee Romance Rating Scale, this one earns a BLUSH rating-- at the beginning stages of romance where something is just starting to be stirred. If I had to compare this story to another book I'd chose Alice in Wonderland. It was both crazy and fun with a touch of magical whimsy.